US Airways CRJ700s are operated by regional airlines for US Airways under the US Airways Express name. US Airways Express CRJ700s are operated by PSA Airlines (owned by US Airways) and Mesa Airlines. 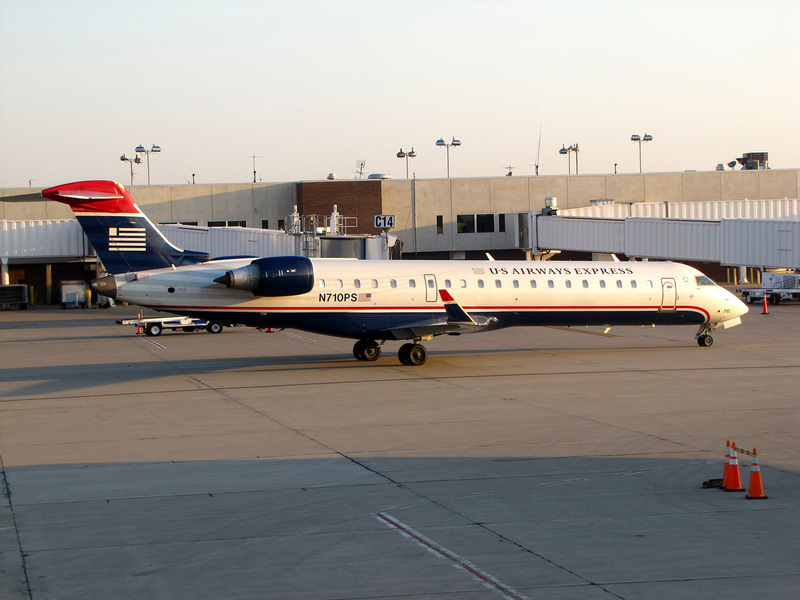 Most of the US Airways Express CRJ700s operate out of US Air's hubs in Charlotte, NC and Phoenix, AZ. The Bombardier CRJ700s operating for US Airways have 67 total seats. 9 of the seats are configured in a first class configuration with a seat pitch of 37 inches. 58 seats are in an economy class configuration. Since there are a few different names for the Bombardier CRJ700, the US Airways CRJ700 is also referred to as the US Airways Canadair CRJ700, US Airways Canadair Regional Jet 700 and the US Airways Bombardier CL-600-2C10. Above US Airways CRJ700 Photo by redlegsfan21 on Flickr. Photo (only) released under a Creative Commons License.